Bitcoins, like any other asset, are subject to equitable distribution in divorce. This means that either you or a judge put a value on them and decide how they are to be divided. As Bitcoin, like stocks, bonds, or other currencies, fluctuates in price, you or a judge will determine a valuation date. This date can either be the date that a spouse files a petition for divorce, the date the spouses sign a collaborative divorce participation agreement, the date the Bitcoins are distributed, or any other date that makes sense under the circumstances. There are many ways to distribute the Bitcoins in divorce. You can decide that one person gets the Bitcoins and the other gets the equivalent in value in cash or some other asset. You can equally divide the Bitcoins or divide them in some different ratio that makes sense to you. Another option is to sell the Bitcoins and split the proceeds. Finally, you can hold onto the Bitcoins as an investment and decide to split proceeds in a future sale. As with most things in life, it is generally best that you and your spouse resolve differences in private rather than get a government entity involved. That is why you should utilize the collaborative divorce process when dividing Bitcoins. In collaborative divorce, you and your spouse each have your own attorneys to rely on for advice. The attorneys focus solely on reaching an out-of-court agreement, and are contractually prohibited from filing contested motions in court. You also usually have a neutral financial professional who can help provide advice about whether it makes sense for a particular spouse to keep the Bitcoins and the other spouse to have a different investment. 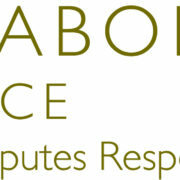 All discussions are had in private offices rather than in a public courtroom. This greatly minimizes the amount of information that will need to be filed to make the divorce official. Adam B. Cordover is a leader in the Tampa Bay collaborative family law community and former president of Next Generation Divorce. He helps clients throughout Hillsborough, Pinellas, Pasco, Sarasota, and Manatee counties and beyond via private dispute resolution. 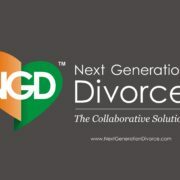 What Is Next Generation Divorce? Prenuptial Agreements: Divorce Planning or Collaborative Marriage Planning?